Houston is known for having four seasons in one day. Therefore, the soil subjected to these changes can dry, shrink and swell. Shifting and moving of the surface below will eventually cause cracks in walls,. As we all know, Houston is known for having four seasons in one day. Therefore, the soil subjected to these changes can dry, shrink and swell. Shifting and moving of the surface below will eventually cause cracks in walls, slabs, bricks and alignment of doors. If left untreated, foundation problems will increase over time, leaving your homes safety in jeopardy. Your home is a very important investment where you start a family and build great memories. 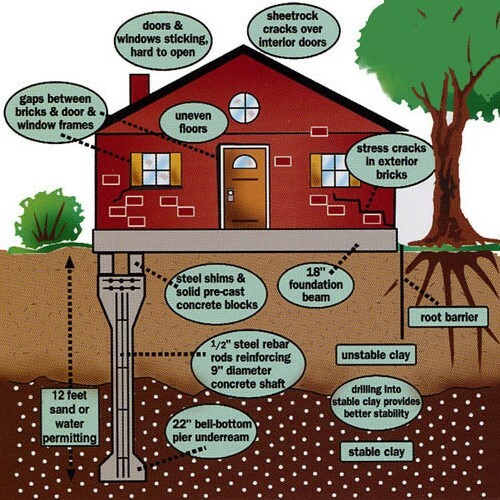 Correcting problems with your foundation can not only give you peace of mind, but can increase the value of your home. Alfa Foundation Repair can resolve all of these problems for you. Give us a call or send us a text today and we will send out one of our licensed and bonded estimators to provide you with a free quote. 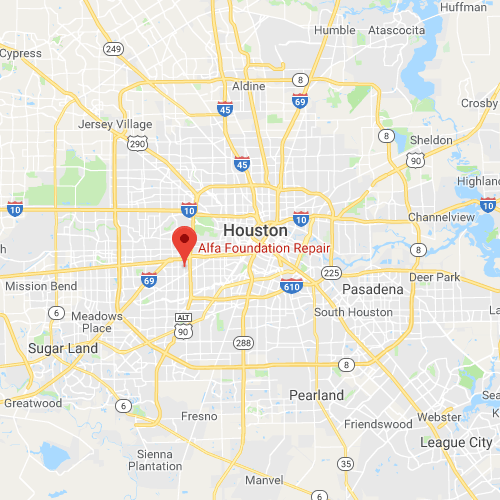 Alfa Foundation Repair is a local Houston Company established in 1983. We have been serving the Houston Community for almost 35 years. Our experienced teams are dedicated to providing you with excellent customer service that is 100% satisfaction guaranteed﻿. Our mission is to protect the homes of our neighbors, friends, and the Houston Community! The term “Pier & Beam” refers to a foundation that is constructed of treated lumber and elevated atop piers or blocks. A properly constructed pier & beam foundation will have a crawl space under the house. The beams are generally the largest pieces of lumber and run parallel the length of the house and may be spaced up to 12’ apart. Perpendicular the wooden beams, are joists. Joists are generally spaced approximately 18” apart. On top of the joists sits the subfloor. The subfloor is at minimum ½” plywood and is the surface which supports the flooring of the house. Repair Payments & Finace Options Find out now. Why Choose Alfa Foundation Repair? See for yourself. Most foundation repair companies only have experience working on single family residential structures. Alfa also successfully repairs and supports a wide variety of commercial and industrial structures. 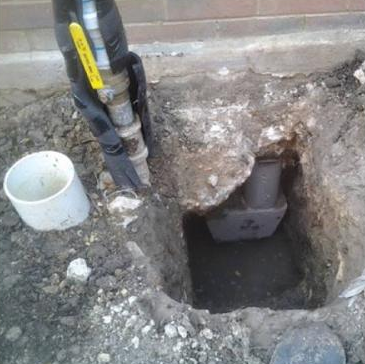 We work with commercial property owners and managers, clearly explaining the repair process and expected results. Our record of success speaks for itself. As a recognized foundation repair leader, we provide a superior warranty with the financial strength to continue support the warranty into the future. We understand that your financial situation – not unlike your foundation — is unique. We offer several flexible payment options that can accommodate your financial situation.﻿ Additionally, if your foundation repair is a result of fixing up your home to be put on the market, we offer a method of financing the work that requires zero out-of-pocket expenses. We refer to this as “Funding at Closing.” With this payment method, we receive our payment from the title company, who pays for the job out of the equity of the sold home without the seller or buyer of the home ever having to write a check.﻿ We accept all major credit cards, personal checks, money orders, even cash! While these traditional payment methods work for many, we understand the need for flexibility when unexpected costs come into play. To that end, we offer non-recourse, third-party promotional payment plans.